Getting there: You can’t see Sideout from the street near the railroad tracks. Once you turn, you’ll see a large dark parking lot. Sideout is at the very end of the parking lot and fully lit when you get there. Parking: FREE PARKING and there is plenty of it! The parking lot is overflow parking for While Oak Music Hall (WOMH). If there is an event at WOMH, you might see a parking attendee collecting money for parking. Just tell them that you’re there for volleyball and you don’t have to pay to park. How to find the group: The venue is not usually packed. When you walk in, turn to the right and follow the patio towards the building. We usually setup a table with an HTXoutdoors sign outside of the door that leads inside the building. If you get to the ping pong table or the dog park, just turn around and you’ll probably see us on the right. If you don’t see the HTXoutdoors sign, ask the bar tender. They usually know where we are. We usually play on Court 1 which is the court closest to the bar. About the group you’re meeting: Because this event is open to everyone, we get a lot of people who are coming out for the first time! That means not everyone knows each other yet so you don’t have to worry about crashing a group of people who have been friends for years. So if everyone is chatting up a storm when you get there, it’s just because they have quickly realized they have a lot in common. And even when some of the people know each other, they are still there to meet more people with similar interest. 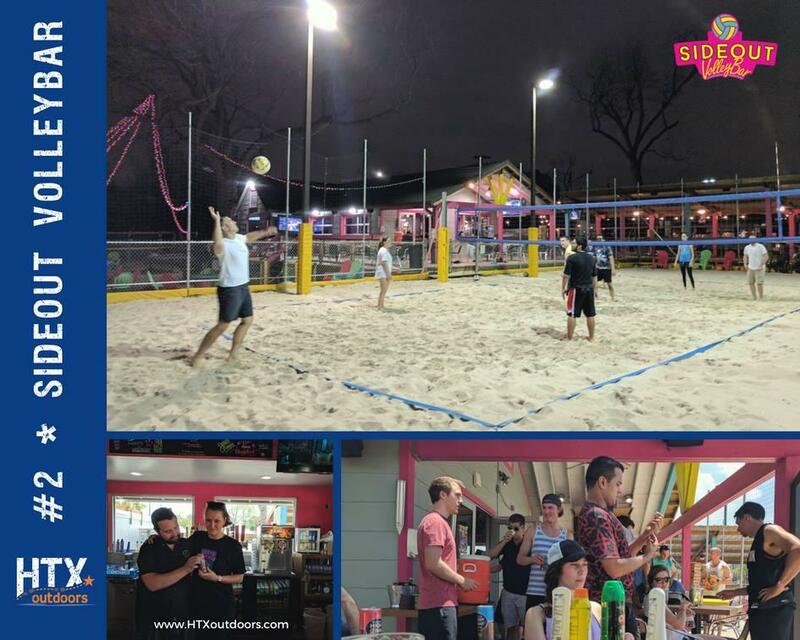 If you have been looking for a group to explore Houston, do outdoor activities and meet people with similar interests, you have finally found it! We are Houstonians (new, original and somewhere in between) in our 20’s & 30’s and we love the outdoors! With a zest for adventure, we have day trips, weekend trips & international trips. So if you have 2 weeks of vacation or “unlimited”…you can find new adventures to fit your schedule.